You most likely know somebody heading back to college this week, or heading there for the first time. Over the weekend, the stores were abustle with kids and moms buying dorm supplies, fresh-looking and eager for that big transition day. I wanted to stop them and ask which college they were heading to and if they had intentions of living life for some grand story, bigger than the two noted by Melleby & Optiz in The Outrageous Idea of Academic Faithfulness. You know we tout that as a must-read for every college student, and their fun summary of the two main narratives that make sense of college for most, has proven to be very, very helpful for not a few students. Heck, if they just read that section, they will be well on their way to being discerning and thoughtful about the point of their college years. Grades & Accolades may sound more promising than Beer & Circus, and I suppose it is. But is success in the American dream really all there is? What about that often-used quote of Frederick Buechner about our vocation being “that place where the world’s deep need and your deep gladness meet”? Is there not some deeper, bigger reason for being in college other than just getting a job or making money? Or having a heckuva an expensive good learning experience? Beer & Circus, sadly, is the operative vision for most (just look at the drinking statistics, even at the most excellent schools or so-called church-related colleges!) Few would admit that, though–who wants to be known as a hedonist?–so they buy into the story of making a difference with their gifts, the idealistic stuff of high school commencement addresses, and fool themselves into thinking they’ve got some grand hopes, even as they drink themselves silly on the week-ends. Or, they immerse themselves in some kind of religious fellowship group, only to find it rarely connects with the real stuff of campus life. At the end of the day (and you know this is true if you talk with collegiates) they are living into and out of a worldview that is somehow disconnected to their religious faith. Students live for (and teachers often teach for) the less than grand dream of upward mobility, middle-class success, and getting a job that affords a certain lifestyle. Grades & Accolades, with a bit of Beer and Circus on the side, all in service of the false idol that happiness resides in our preperations to take up our place in the economic system. All the popular Mad Man episodes exposing the sickness of this suburban dream notwithstanding, college students don’t have a natural ability to think outside the box on this. Most of the high school guidance experiences and the zeitgist in the air (from TV ads about college, or popular movies) presume one of these two visions of the reason for college and have shaped them for it. And so, The Outrageous Idea. Who knew? God cares about college? Our creator calls students to learn in order to take up vocations serving the common good for God’s sake, pointing to the coming of Christ’s Kingdom, coming on Earth, in every possible profession, job or career. Studies, classroom work, majors and careers are intimately related to spiritual formation, and learning to see one’s college experience from the framework of an integrated Christian perspective is a key for success in the college transition. And therefore are more meaningful than ever imagined! Yes, the stakes are high, but God’s promises pertain, even in Soc 101 or lab sciences or Accounting or Psych or Art History level 2. He is with us! As I travel doing workshops on this, it is amazing how excited students get (and how some faculty are surprised) when they are invited to connect the dots between Sunday and Monday, faith and learning, college and calling. The Outrageous Idea of Academic Faithfuless: A Guide for Students by Derek Melleby & Don Opitz (Brazos) $13.99 This is the best book on this stuff, and, as I’ve often said, it is interesting, well-written, fun, and although meaty, not intimidating. Perfect for students, helpful even for faculty or others who work in higher ed. I wasn’t kidding when I said it was one of the most important books of the year (when it came out just a few years ago) as there simply is nothing like it. Tuck it along with your student, or send a care-package, quick. It is wonderful and important. Perhaps a bit more elegant, a slight step up, is a marvelous book called Engaging God’s World: A Christian Vision of Faith, Learning, and Living by the always-interesting Cornelius Plantinga, Jr. (Eerdmans; $16.00) I was teaching from this book this summer, and found myself underlining long passages to read out loud as it vividly and beautifully reminded us of the complexities of learning and thinking in a world such as ours; that is, a world created good by God, distorted and damaged by sin, and being reclaimed and redeemed by Christ’s the saving Lord. How we allow our own deepest yearnings to lead us to places of integrated learning and vocational visions in the college years is never easy, but it is rarely described so helpfully as in this inspiring work. I heard someone just this summer say that they wished they had read this book when they were in college. Lovely, thoughtful, and wise, it is the sort of stuff that can truly make a difference in providing for students a framework for taking their college years joyfully and seriously. Following Jesus into College and Beyond Jeff Baxter (Zondervan) $12.99 I know you know that we commend these sorts of books listed above for any and all college students and faculty you know. Still, there are those who are young in their reading, immature in the faith, perhaps, just not likely to even pick up a book about academics or learning. They would be wrong to suppose that Melleby & Optiz are hard or dry, but there ya go: the anti-intellectualism of some of our young adults, and their dualistic faith, precludes them from even thinking about reading a book, fun as it may be, about relating faith and college. Unless it comes packaged as a self-help resource, a little book to help navigate temptations and confusions, offering practical guidance on how to get along with room mates, how to avoid bad relationships, how to suruvive and thrive. Baxter’s book is excellent for this, in fact, although it looks like a typical book you’d give to a high school youth group member, it is a bit more thoughtful than you might think. Who am I and where am I headed? may be the cry of the young adult, and this offers insights from those who have walked down that road before. Jeff (who lives in Colorado) calls his ministry the sacred outfitter and his cool appeal will make this a very useful book for a somewhat anxious young person. 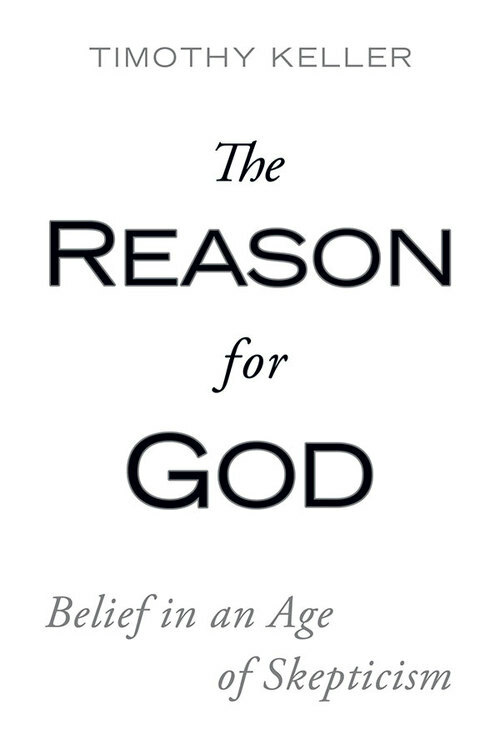 Reason For God: Belief in an Age of Skepticism Tim Keller (Penguin) $16.00 This may be the best of the popular books that offer a foundational approach for the skeptics and seekers, and although it is perfect for those who are unsure of their faith commitments, it is also very, very valuable for young students who just need to know that their faith is credible, that there is an intellectual tradition that affirms historic, orthodox Christianity, and that we can have good conversations about our doubts and concerns. Now out in paperback, this would be a great gift for any young adult, but especially y those heading to the academic world where, not surprisingly, many anti-Christian diatribes are heard each and every day. This could be a lifeline, and we suggest it urgently. Fabric of Faithfulness: Weaving Together Belief and Behavior Steve Garber (IVP) $17.00 You may tire of us recommending this, and we certainly are proud I am featured in a small part of it, but we really do name this as one of the move provocative, thoughtful, important books we’ve ever read. Steve is a writer who is both tough and tender, serious and interesting, wide-ranging and yet, finally, clear about his project: helping students learn in ways that make a difference in the long haul of their lives. Even though Stan Hauerwas said that he thinks you should buy this for every student going off to college, it seems to me that it is best used by upper classmen, thoughtful seekers or students who are deeply aware of the call to relate faith and life in coherent and lasting ways. If you have any professor or student life friends, this is the book to offer them, so they might see the significance of their important work in higher education. Does the way we know make a difference? Can we sustain the stuff of our college experiences over the longer course of a life well lived? Do the pressures of the contemporary culture, modern and post-modern, broken and sad, bear down upon us in ways that keep us from hopeful enthusiasm in relating robust faith and real life? Desiring the Kingdom: Worship, Worldview, and Cultural Formation James K. A. Smith (Baker Acadmic) $21.99 I mentioned this in our last post, highlighting it as one of the truly significant books of the year. As a philosophy prof at Calvin College, Jamie is all about this matter of nurturing a way of life that is intregal, that sees the habits of embodied life as a service to the God we love. Alas, our daily habits shape our character and lives in ways that are often incongruous to vital and robust Christian faith and in this deeply philosophical study, he invites us to ask how to relate worship, life, and a radically Christian way of life. What I didn’t say in the last post was that this book emerged, in part, from his workshops with Christian faculty who have longed for a more nuanced account of their work as teachers, who have longed to be integrated not just in how they think about their field, but how they shape students into being people who love the right things, God’s things. As Paul Griffiths from Duke Divinity School writes, “Jamie Smith shows in clear, simple and passionate prose what worship has to do with formation and what both have to do with education. He argues that the God-directed, embodied love that worship gives is central to all three areas…” Well, I’m not sure sure I’d say the prose is simple, but it does nicely relate this Augustian vision of well-ordered loves to the stuff of learning, and specifically to the questions raised by the basic world-and-life viewpoint encouraged by the books listed above. Of course Jamie, postmodernist that he is, rejects a rationalistic view of learning (we are more than brains capturing factoids) and he talks quite a bit about being what Charles Taylor calls imaginaries. Can universities help us become Godly dreamers? A huge, huge question, and this is a book worth working on for a long school year. Highly recommended.